Kanye West performs during the 2016 MTV Video Music Awards at Madison Square Garden in New York City on Aug. 28, 2016. 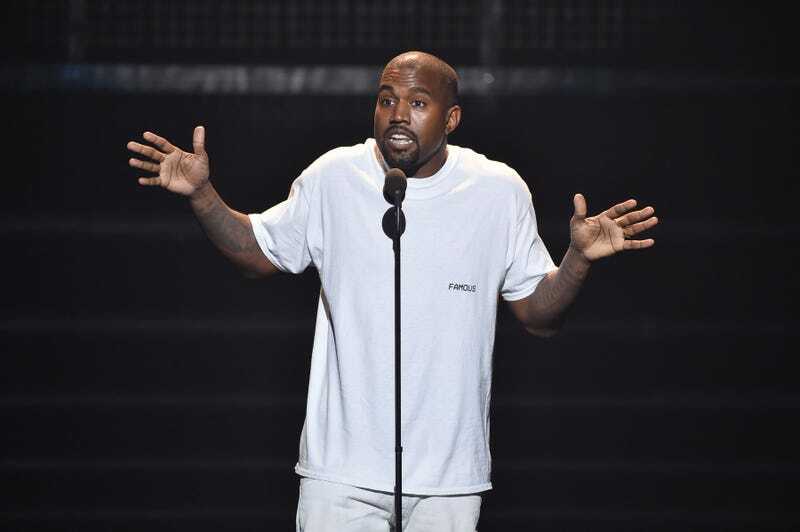 For someone who claims to be a genius, Kanye West doesn't seem that smart at all. I mean, sure, maybe he had a few bangers during his career, but West's recent modeling call, which specifically asked for "multiracial" women, definitely wasn't a shining example of his so-called genius. But wait until you hear what West told Vogue about his request for "multiracial" women. “The ten thousand people that showed up didn’t have a problem with it,” West said. The rapper went on to state that he wasn't trying to exclude black women from his show, and the concept came from a discussion with his problematic (and sometimes referred to as racist collaborator) Vanessa Beecroft. And here's where West's genius comes into question. "Casting call for black models of all shades." "Casting call for black models." It's as simple as that. It doesn't take a genius to realize that "multiracial" could be taken as a slight to black women who don't have a certain look. But I guess when you're breathing all of that Calabasas and Kardashian air, genius just doesn't work the way it used to.